I don't often make one dimensional cards. I had printed this background last year and put it in a bag with Christmas Crafty stuff... this year I thought I'd see what I could do with it. 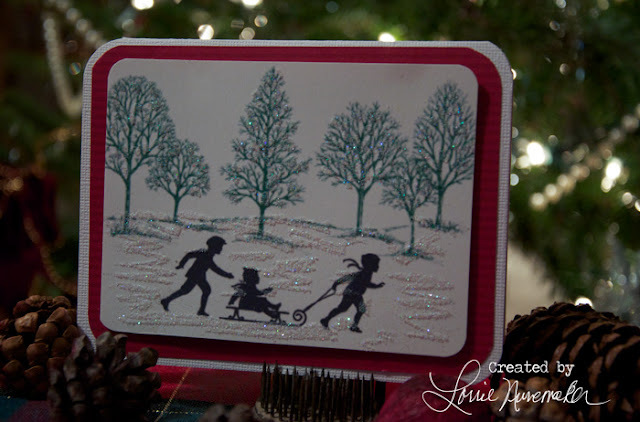 It is purely a printed digital image and I just glittered the trees and ground. So simple. It really sparkles!